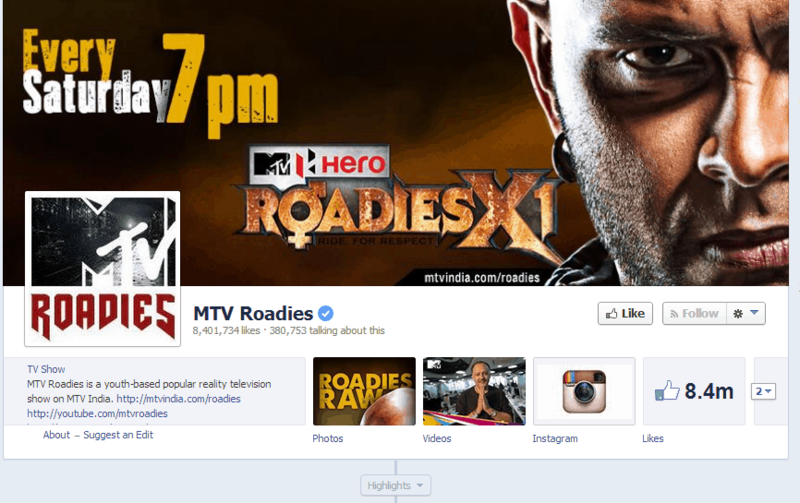 Roadies started in 2003, first hosted by Cyrus Shukar. However, Season 2 to Season 8 has been hosted by Rannvijay. It is based on MTV reality show Road Rules which started in the year 1995. It is India’s most popular reality show with 11 successful seasons.MTV Roadis online media campaign is a 9 month trans-media campaign which resulted in establishing MTV Roadies as the most talked about brand in India. 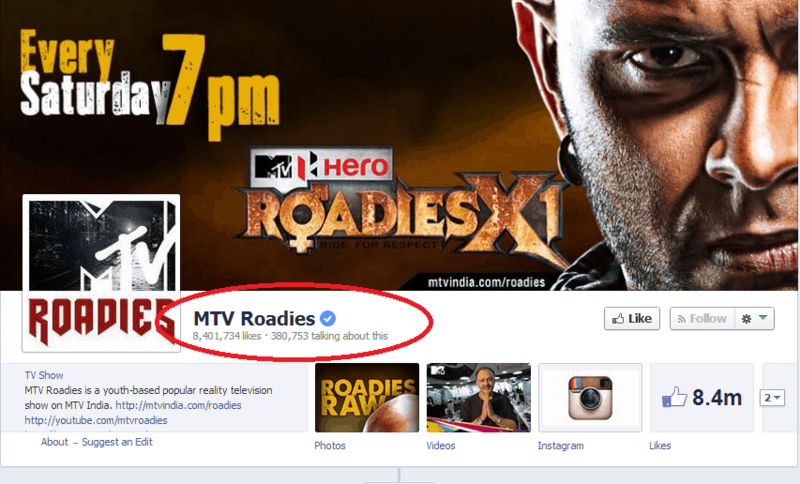 It is a campaign which made MTV Roadies the envy of the brand manager of every youth brand in the country. Not only did Roadies establish itself as a giant in the social media space in India but it also got India noticed in the International space. It ranks 6th in the most engaging Facebook fan page in the world. 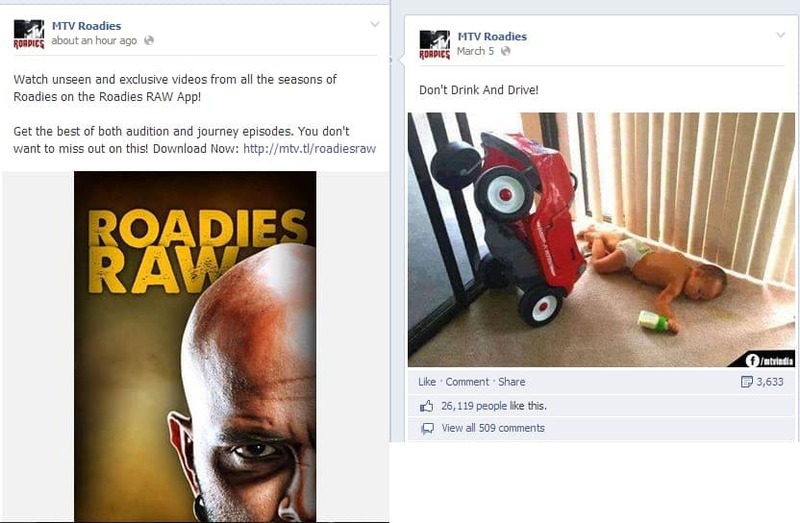 It busted the myths that people usually don’t consume TV content online and that Roadies was too niche for an evolved audience platform such as Twitter. It was a campaign completely meant for the users at every step and helped modify on-air content based on how the audience in the digital space was responding to previous content. The campaign integrated TV, Outdoor, Mobile and Digital Media and was a perfect example of how a campaign should use its website, WAP site and social presence. One day before every journey episode aired on TV (i.e. on Friday), tweet-ups were organized in a major city and the episode was aired to the fans. Regular posts with updates, sneak peeks & polls Full episodes were conducted on Facebook. Uncensored clips were posted on the website, youtube, facebook & mobile wap site. Timing and promos were shared on Website and YouTube. Various contest and quizzes were carried out on social outlets for Dell, Snapdeal, Lava, Crusoe & Wildcraft. On-Line Astons were aired to promote the website, youtube and facebook fanpage. Its Facebook fan page became the 6th most engaging pages on Facebook in the world and number one in India. Monthly active users on Facebook fan page reached 1,574,139 (78% of total fan base) with total post views per day is 152,788,912 making it one of the most viewed posts among Indian brands. Interactions went higher by 2-3 times more than that of top brand pages in India. 4 topics were trending at the same time on the day of the Finale episode. The channel went live on April 18th and by august it became one of Top 5 channels viewed in India.